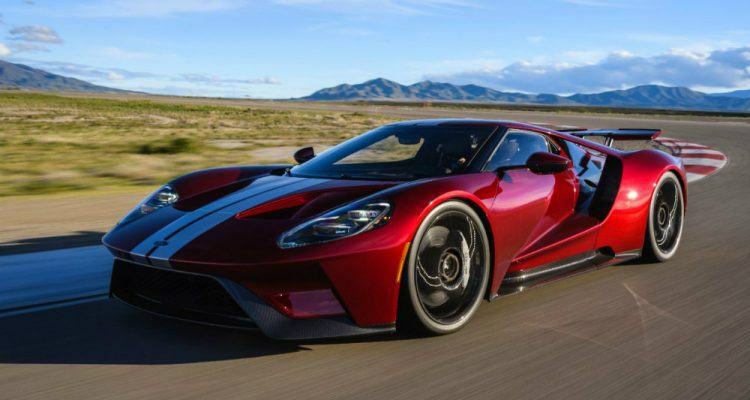 The 2017 Ford GT is the fastest production vehicle the blue oval has ever produced. With a precise power-to-weight ratio, five different drive modes, and advanced aerodynamics, the car is worth more than a passing glance. The GT’s engine, a 647 horsepower high-output 3.5-liter EcoBoost, is simply the cherry on top. Or maybe that’s the GT’s top speed of 216 mph? Either way, getting up to speed isn’t a problem, but what about getting stopped? Brembo is, for all intents and purposes, accustomed to stopping rocket ships. The company’s high-performance braking systems are found on some of the world’s most powerful racing machines, like Formula One and Indy cars. With more than 300 championships in racing already, Brembo’s technology is unique in that it’s first proven on the track, then brought to the street. The proving and validation environment a track provides, and what can be learned in such situations, will inevitably transition to everyday roads. For example, Fiat Chrysler Automobiles utilizes Brembo’s expertise on two of their most powerful vehicles, the Jeep Grand Cherokee Trackhawk and Dodge Challenger SRT Demon. General Motors recently worked with Brembo on a new braking kit for select models, including Chevy Silverado and GMC Sierra 1500 series trucks. The kit upgrade better handles the thermomechanical changes consistent with pulling a trailer or moving a large payload. Now Ford is in the mix, outfitting their GT supercar with Brembo brakes. 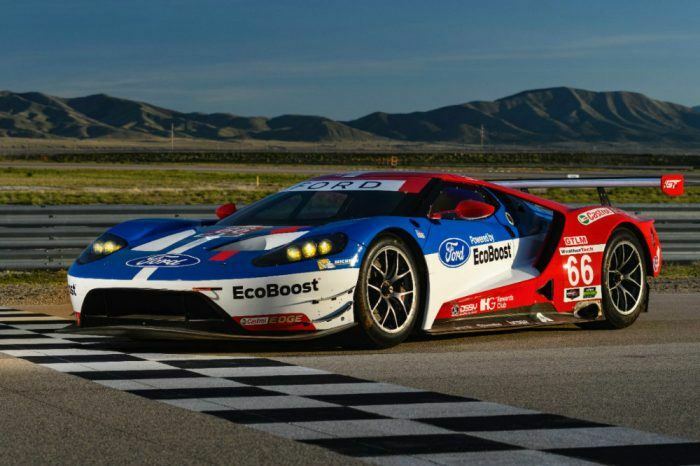 “Our group has been working with the Ford engineering team simultaneously on the Ford GT race cars that are competing and winning now, and have carried those lessons learned over to the Ford GT street model,” explained Dan Sandberg, President and Chief Executive Officer, Brembo North America. The production GT will have carbon ceramic (CCM) rotors with dedicated high performance brake pads on the front and the rear. The CCM discs are exceptionally light and function better at high temperatures. In the rear, the unique-to-Brembo, electro-mechanical parking brake (EPB) is worth noting. The EPB function is delivered by a stand-alone black anodized aluminum caliper, governed by Brembo software. The Brembo EPB operates both automatically and via a button, eliminating the cables associated with traditional parking brake systems. Ford GT customers can select from an array of caliper colors too. Each one displays the Brembo lowercase “b” logo in black. “The consumer choice of five caliper colors makes every Ford GT a personal design statement,” Sandberg added. 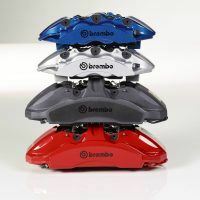 Brembo six-piston, monobloc, fixed bridge, radial mounted aluminum calipers. 394 mm x 36 mm rotors. Low fluid displacement design improves pedal feel and stiffness. Exposed fluid lines on calipers allow for increased cooling. Optimized cooling system designed by Ford and Brembo maximizes CCM performance. Brake ducts fixed to calipers articulate with the steering for maximum cooling. Four-piston monobloc aluminum calipers with 360 mm x 32 mm CCM rotors. Rear calipers radially mounted and optimized for stiffness. Rear brakes also have the specialized cooling ducts for the CCM rotors and pads. The EPB caliper is managed by Brembo software, embedded in the ESC unit. Eliminates additional and unnecessary parts and cables. Lightweight aluminum six-piston Brembo calipers with 380 mm x 34 mm cast iron rotors on the front. Four-piston calipers with 355 mm x 32 mm rotors on the rear. Much of the brake cooling geometry hidden in the Ford GT race car carries over to the street version. The Chip Ganassi No. 68 Ford GT driven by Joey Hand, Sébastien Bourdais, and Dirk Müller won the 24 Hours of Le Mans in 2016 on Brembo brakes. Carl Anthony is Managing Editor of Automoblog and resides in Detroit, Michigan. 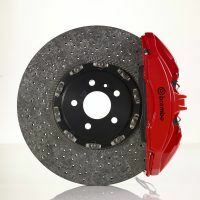 Photos & Source: Brembo North America, Ford Motor Company. 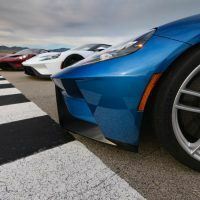 2 Comments on "Inside The 2017 Ford GT’s Brembo Braking System"
i love the cars GT … http://www.chevroletnewway.org/aveo The proving and validation environment a track provides, and what can be learned in such situations, will inevitably transition to everyday roads.